1. 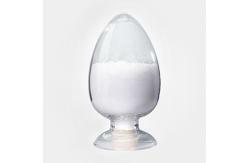 Creatine monohydrate can improve oxygenic metabolism of muscle. It can restrain the appearance of intramuscular tiredness, furbish physical ability, accelerate to synthesize protein of human, bring muscularity, tone up intramuscular flexibility, reduce the content of cholesterin, blood sugar and blood fat, ameliorate intramuscular atrophy, leave caducity. 3. Nutritional intensifier. 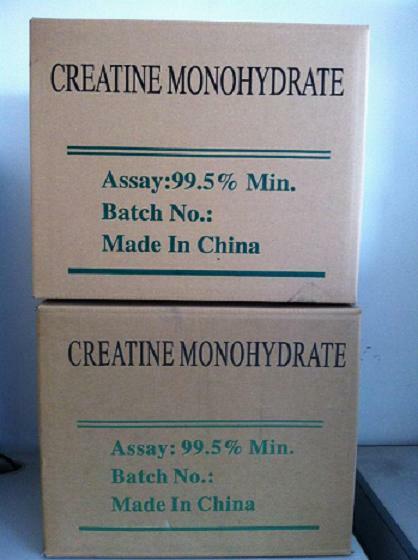 Creatine monohydrate is the most popular and effective bodybuiding supplement on the market. It is considered to be the necessary for bodybuilders. It also is used for other athletes, for example footballer, hoopman and so on. 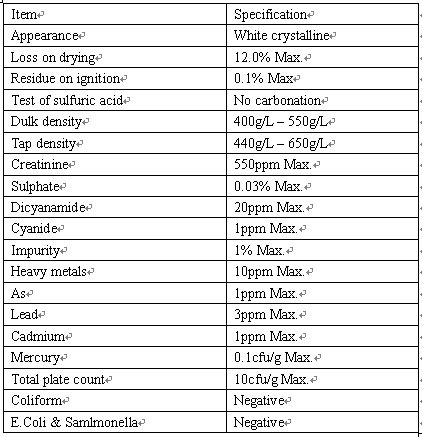 Creatine monohydrate is 100% natural and occurs naturally in many foods; therefore, it can never be banned from any sports or international competitions. As known as that, three out of four of the '96 summer Olympic medallists used creatine. 4. Japonic researchers indicate that Creatine monohydrate can improve the intramuscular function for patient with Mitochondria disease. Because of the characteristics of patient's biochemistry and gene, the treatment effect is different for different people.